Oak Ridge Today has previously covered discussions of both projects. You can see our last story on the Planning Commission discussion of Main Street Oak Ridge here and Main Street Apartments here. The apartment complex could include 217 units in seven three-story buildings. They would be built where the former AMSE building and its big parking lot are now, just south of the Oak Ridge Municipal Building. (AMSE has moved across the street to Main Street Oak Ridge, the roughly 58-acre redevelopment of the former Oak Ridge Mall.) The apartments would be owned and developed by Mainstreet Capital Partners LLC of Knoxville. Planning commissioners could consider a rezoning and master plan approval for the first phase of the project, the 217 apartment units and amenities on about eight acres. A second phase could include either residential or mixed uses with residential, retail, and office, according to a memo from the Oak Ridge Community Development Department on Friday. The proposed revisions to the next phase of Main Street Oak Ridge have been discussed by planning commissioners, including in a joint work session with Oak Ridge City Council on Thursday, November 8. 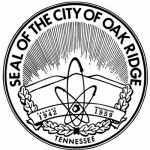 Some Oak Ridge officials have had concerns about the proposed revisions, and the Planning Commission postponed a vote on the revised master plan during a meeting on Thursday, October 18. Among the concerns have been the possible closure of the road connecting Rutgers Avenue to the roundabout at Main Street, and the elimination, at least for now, of multifamily residential developments at the Main Street site. Those expressing concerns have emphasized their interest in having a mixed-use city center with pedestrian connections, green space or a central gathering spot in its interior, and restaurants and residential units. Officials have said the revised master plan would be a significant change from earlier plans. RealtyLink, the developer now, has taken a plan first proposed by Crosland Southeast, the original developer, and adopted and revised it. The proposed revisions presented to the Planning Commission in October showed the closure of the road between the roundabout and Rutgers Avenue and four new retailers in that area along a sidewalk that would connect PetSmart, a new store, to JCPenney, one of the two remaining anchor stores from the former Oak Ridge Mall. The revised plan also showed there could be two retail shops near Belk and Cinemark Tinseltown, a possible self-storage business along Rutgers Avenue behind the four new retailers, and a park area on Rutgers behind Walmart and Burkes Outlet, which is now under construction next to Electronic Express. Mixed-use (restaurants, retailers, and residential units) would be designated as part of future development areas along Wilson Street. The 230 multi-family units included in the current plan from 2015 would not be included in the revised master plan, the city staff said. It’s not clear yet if there will be a compromise that will satisfy a majority of planning commissioners and City Council members, and RealtyLink and its tenants. There seemed to be different opinions among City Council members during last week’s work session, with some wanting to proceed with the project and others expressing concerns. The overall site plan that could be considered by the Oak Ridge Municipal Planning Commission on Thursday, Nov. 15, 2018, for the apartments, tentatively named Main Street Apartments, that could be built on the northern part of the former American Museum of Science and Energy property on South Tulane Avenue.